Bruce Willis said he had immediately agreed to the director M Night Shyamalan's idea for a sequel to his 2000 feature Unbreakable. The 63-year-old actor reunites with the director in Glass. 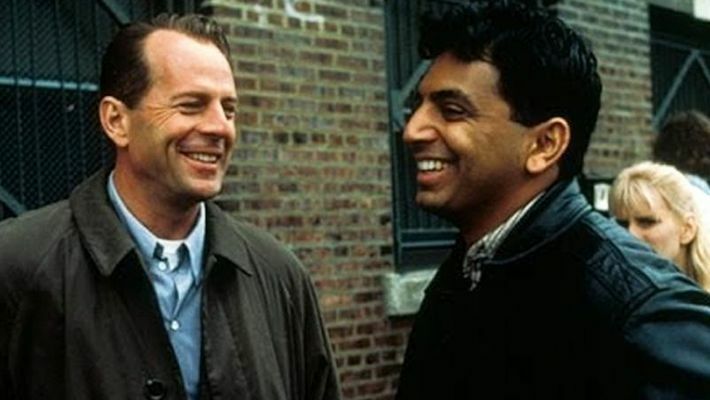 Hollywood action star Bruce Willis said he had immediately agreed to the director M Night Shyamalan's idea for a sequel to his 2000 feature Unbreakable. The 63-year-old actor reunites with the director on Glass. The new film falls in the same universe of Shyamalan's Unbreakable and Split. "Working with Night on 'The Sixth Sense', we had a really good time shooting that movie and developed a friendship and a high level of trust. When he told me that he had an idea for a script for me, which was 'Unbreakable', I immediately said, 'OK, I'm in.' I didn't even know what the subject matter was going to be. "Similarly, when he approached me about 'Glass', I agreed immediately, I didn't have to read the script. To be able to work again with Night as a friend and collaborator was a dream come true," Willis said in a statement. "Glass" also features James McAvoy, who reprises his "Split" character, and Samuel L Jackson, Willis' co-star from "Unbreakable". Willis said it was fun to continue exploring the story of his character David Dunn. "Rarely, if ever, does an actor have an opportunity like this. Night creates characters that are unique and memorable and feel personal. I was just as thrilled to play David Dunn as I was the first time I played him," he said. The film's cast also includes Anya Taylor-Joy and Sarah Paulson. It will hit the theatres in India on January 18.